It seems that no one who spent much time in close proximity to the 2009 Mets can avoid the stink cloud that emanated from their clubhouse. Ron Darling, former Mets pitcher and current Mets announcer, is reportedly in hot water with the tax man for failure to pay state and federal taxes. The Detroit News reports that liens filed by the IRS, New York and California allege that Darling owes $544,197 in back taxes. In retrospect, perhaps Darling would have been better off if he'd only taken pitching advice from Jerry Koosman instead of hiring his accountant as well. Hopefully he can work this out without following Koosman into the pen, but to be sure we recommend keeping Lenny Dykstra's phone number as far away from Darling as possible. Two wrongs aren't going to make this thing right. Darling is a fairly recent additions to the dishonor roll of 1986 Mets, a team of great talent that wound up appearing on more police blotters than playoff games. 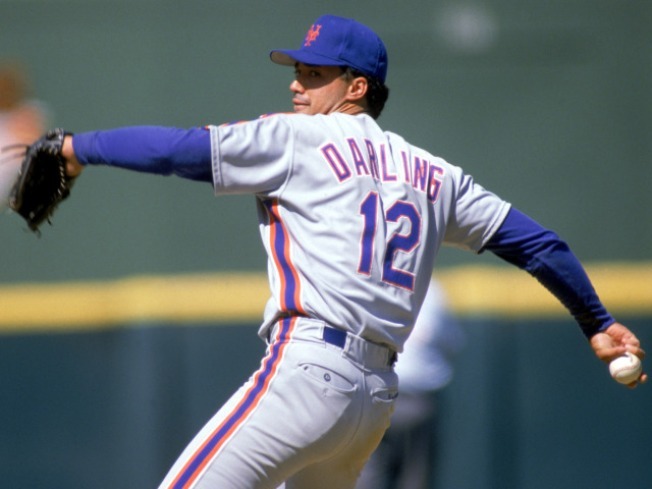 Darling's alleged crimes are far different than those committed by Doc Gooden and Darryl Strawberry, but that's what you get when a Yale graduate tries to be one of the boys in a big league clubhouse. It would be a shame if Darling's case wound up with him sharing a spot in the Federal prison rotation with Koosman. He's as good an announcer as there is in baseball right now and the Mets season ended with some vague comments from Keith Hernandez about a possible departure from the SNY booth. Whatever the team's record, Mets games are entertaining as long as those two guys are sharing their thoughts on the game, life and everything else. Here's a thought about how we can find a quick and happy resolution to this problem: Since baseball is America's national pastime, perhaps the IRS can work out a deal with TBS where the salaries of both Darling and his playoff partner Chip Caray go directly to them. Caray's not accused of any wrongdoing, but without a salary coming his way he'd probably quit which would leave the IRS and the American public better off at the end of the day. Sadly, that's not likely to come to fruition but it is nice to finally understand why a smart, likable guy like Darling would agree to work with the likes of Caray.